But the hype didn't last. David’s second album, 2002’s Slicker Than Your Average, was led by the single “What’s Your Flava?,” which made a play for American audiences with it's millennial R&B snap and the repeated lyric, It cost me 20 bucks. The track failed to connect in the U.S. though, and before long, his star was on the wane. Some have put this turn of fate down to David being caricatured on the U.K.’s toilet humor sketch show Bo’ Selecta!, which first aired in 2002. But, as “What’s Your Flava?” had proved, he was also less sure of his own musical direction. In the following years, he drifted further away, buying a palatial all-white pad in Miami in 2009, bulking up at the gym, and flying to Dubai to play private functions for lucrative fees. For a time, it seemed his career as a hit-making musician was over. 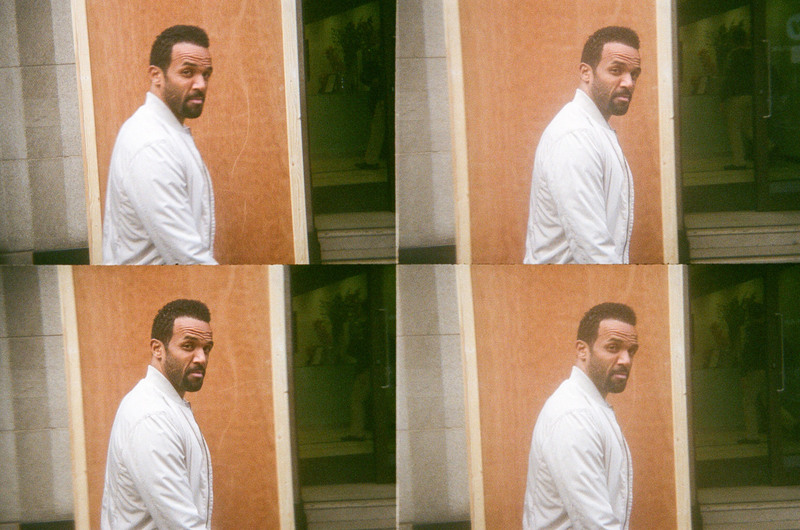 Yet, the love for Craig David never went away. 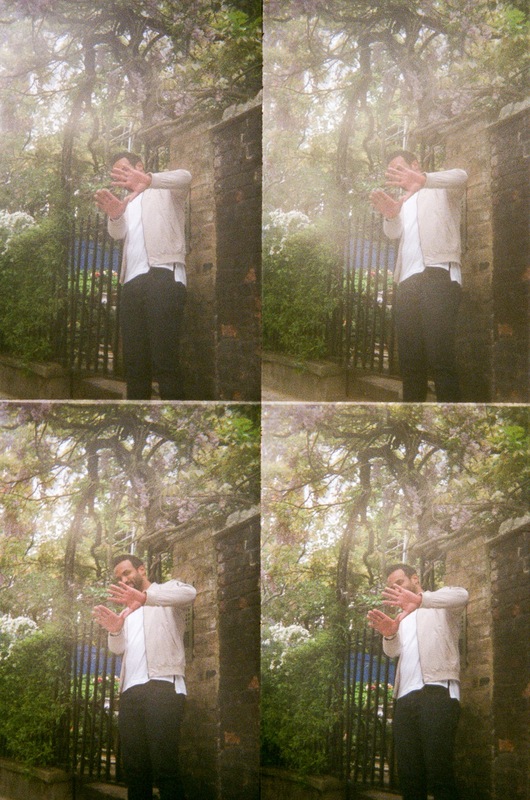 For a generation now in their late 20s, whose first nights out were spent listening to U.K. garage in the early ‘00s, David’s music is a welcome breeze of nostalgia. For many contemporary British artists, he’s a trailblazer who set a blueprint for how to take underground sounds mainstream — which might be one reason why grime’s heavy hitters like Stormzy and JME are paying respect to him, and why scene stalwart Big Narstie was keen to collaborate with him on "When The Bassline Drops" in November 2015. 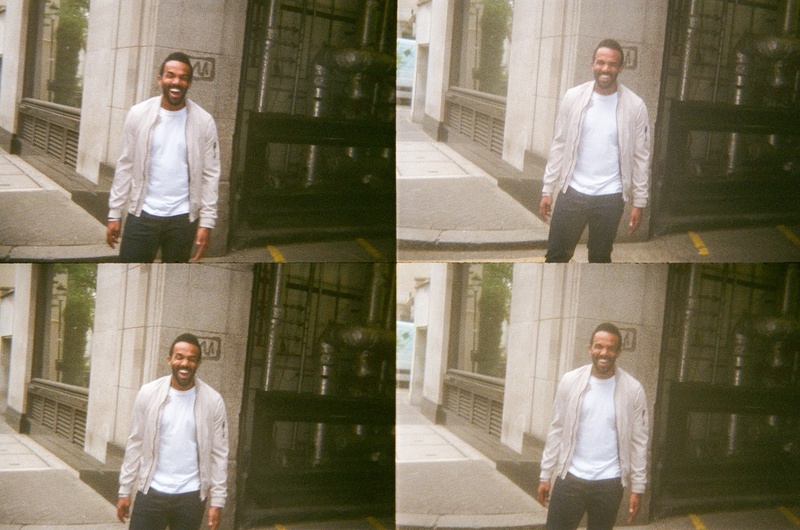 David followed that in May by dropping the U.K. garage-celebrating solo single “One More Time,” and appearing on a stand-out track on Kaytranada’s debut album. He’s now gearing up to release his sixth album, Following My Intuition, later this year. You were only 17 when you wrote your breakout singles “Fill Me In” and “7 Days.” How did you first get started making music? I think it stemmed from my dad having me do flamenco Spanish guitar lessons. He was a bass guitarist in his own right, and was in a reggae revival group called Ebony Rockers, way back in the day. But I was more into the vocals, so he got me something called an Amstrad Studio 100 [a multitrack cassette recorder]. It was the size of an old school TV and had loads of faders on the front. That’s how I started, just putting down vocals and trying ideas. Is that when you started MCing? When you put out “Re-Rewind” and then “Fill Me In” and “7 Days,” did it feel like you got super famous fast? Yeah. When “Fill Me In” started to get a bit of love, I remember being carried from Capital Radio to [London nightclub] Sound on the shoulders of two security guards. It was pandemonium. That Justin Bieber pandemonium. “Fill Me In” went to number one at the same time Destiny’s Child released “Say My Name.” Having a number one over Destiny’s Child at their peak was just madness to me. Could you enjoy it at the time? “As beautiful as the apartment or the car is, you’ve got to ask yourself: What are you really doing this for? What makes you happy”"
In the years that followed, do you feel like you lost some control over your career? When I got to the second album there was an expectation, because we’d sold nearly seven million albums on the first record, that this would do eight or nine. That’s already in the heads of the record company execs. Also, there’s that question of: do you try and do a record that’s similar to that, which people will say is never going to be quite as good? Or do you try something different? I went with that [latter] option. Maybe there was a period of time when creatively I wasn’t hitting it right. Even I noticed it, when it came to [David's fifth album] Signed Sealed Delivered, which was a covers album. I had the opportunity to put this record out on a huge label, Universal. But my intuition said to me: Why are you really doing a Motown album? Why are you doing a covers record when you’re 27 years old? “Re-Rewind” moved a whole garage culture, and then I was doing this covers album. Were you still making music when you moved to Miami in 2009? There came a point in Miami when my management said to me: “Craig, we feel like we lose you when you’re in Miami. You say you’re in the studio, but I think you’re walking into the studio, out onto the terrace and getting a suntan.” They were right. The candle was there, but it wasn’t lit. [Moving back to the U.K.] was the most pivotal move I made in my whole career. What I recognized was that Miami wasn’t conducive to making music. It was a glorified holiday. As beautiful as the apartment or the car is, if you’re just driving the car for driving’s sake, you’ve got to ask yourself the questions: What are you really doing this for? Where are you going? What makes you happy? Were you prepared for the video of your Kurupt FM session going viral in September? When MistaJam pressed play on that "Where Are Ü Now" instrumental, and I went in on that “Fill Me In” vibe... I didn’t know that it was going to be the first thing that I’d experienced going viral. Facebook and Twitter were going mad. I felt this love from the U.K. in a way that felt very similar to when “Re-Rewind” dropped. It was real. It was organic. Little did I know that meeting Big Narstie would lead to us two weeks later writing “When The Bassline Drops,” which we just put out because it felt good. 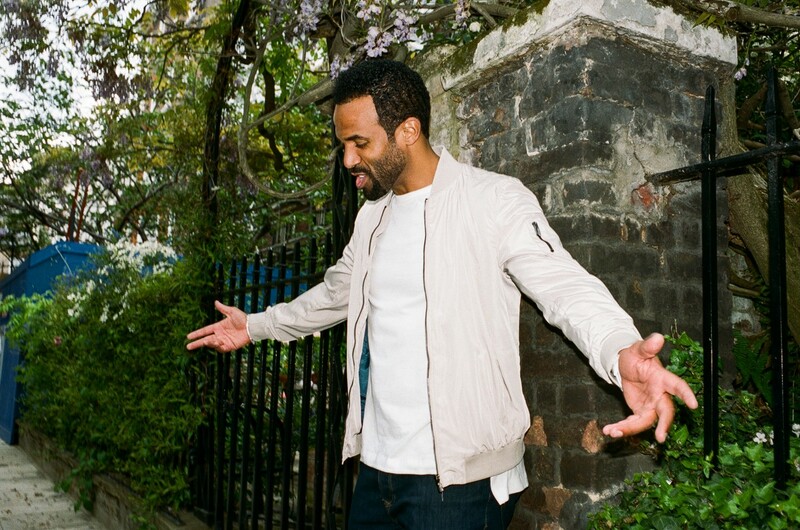 I’m seeing 11, 12 year old kids tweeting that they’re on their way to school listening to a sick garage tune called “When The Bassline Drops” by this new artist Craig David. There’s also people who grew up with me on a nostalgia flex, feeling like they’re 20 years old again, so there’s two generations connecting. That’s wicked. You were at the BRITs this year. You’ve personally been nominated 12 times but never won. Do you think the awards show has a diversity problem? My thing is, for artists who are having success, being given an award shouldn’t be the thing that defines you in the first place. Yeah, it’s cool — but when Skepta or Stormzy goes out on stage and there’s a mosh pit, that’s what it’s about. I’d say to the [grime] guys: I get it. There’s a bit of angst going on, and there’s always politics [involved in award shows], but who’s coming to your shows? You’re in the charts on your own record label. That’s recognition. I’m very much back to my basics. I wanted to do a through-and-through garage record. 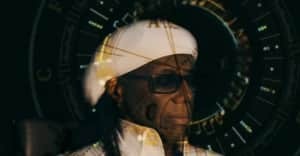 “When The Bassline Drops” felt like a fresh start, so I think that’ll be on the record too. It’s straight up garage tunes, with the same producer who did “When The Bassline Drops,” a young guy called White N3rd from up in Manchester. Will Kaytranada return the favor of your spot on his album? I’ve done a couple of tunes with Kaytranada. “Got It Good” has had such a great response. We’ve got a couple of other little things that are cool. I’m seeing if they’ll line up for the album. But also, my first album didn’t have any features on it at all. The bulk of this record will be going back to that U.K. R&B/garage, with a simple melody and a lyric that feels like it was written just for you. That’s how I wrote songs back in the day. You know what, sometimes you have to go on a little journey to realise: Oh, it was just the R&B/garage you needed from me? Oh right, let me do what I was doing right from the start. 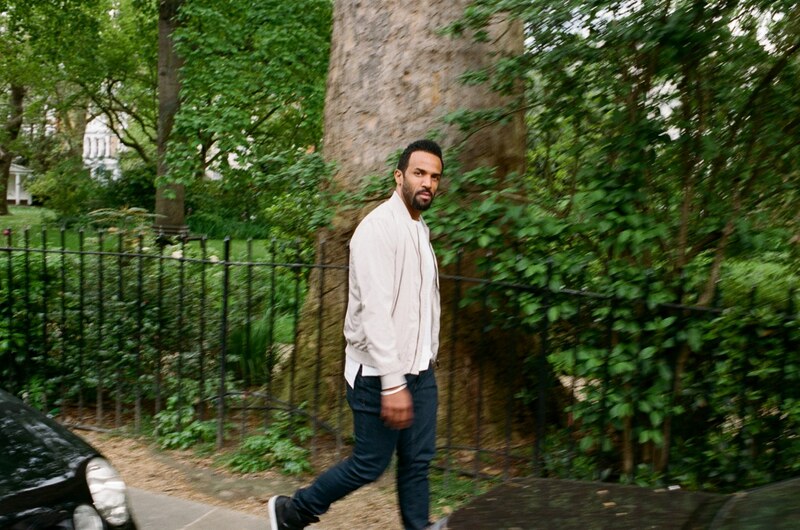 Listen to a playlist charting Craig David's influence on music, from the early ‘00s to now.